This new set food foldable insulated dome table cover is the solution to stop your worries of your food being ruined by pets, unwanted flies and bugs on food. It guards your delicious dishes against annoying fruit flies, mosquitoes and all sorts of crawling insects and ants. It is made of high-quality material that lasts. It keeps salads cool and hot food warmer for longer. 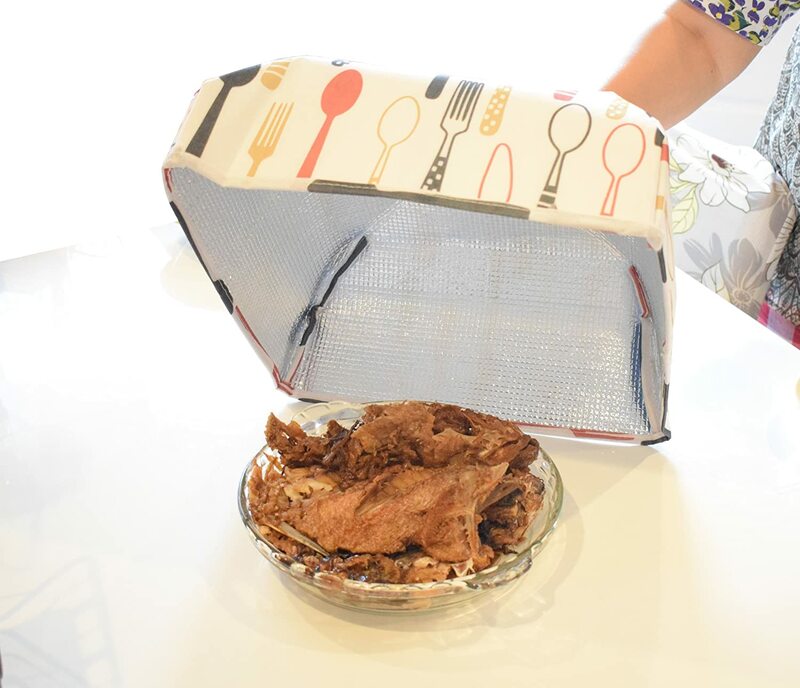 A simple folding design can be easily folded away, and be kept in a small corner, you can receive up like an umbrella, using to facilitate cleaning, ventilation, ensuring real perishable and guarantee food health. Portable and collapsible, easy to take it anywhere. Perfect for outdoor eating, such as camping, picnic, garden BBQ, pool parties etc. Easy to clean and hand washable as well. 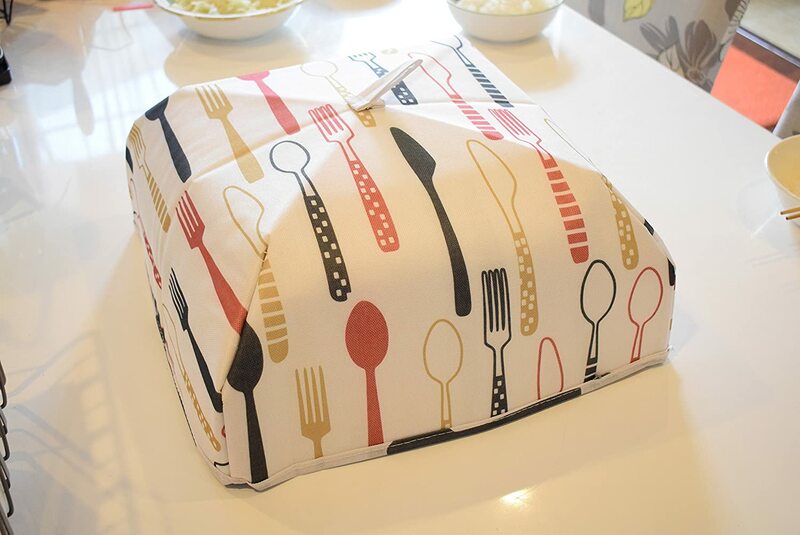 This table cover is easy to pick up, to open and just the top of the hand loop pull up. Very lightweight and convenient. This is not only effective but decorative. These covers not only works perfect for an outdoor party, camping, cooking activities, BBQ, picnic or home kitchen on bowls, plates, utensils, any opened drinks, snack and fruit but it also keeps salads cool and hot food warmer for longer. Food covers with inside thicker aluminum foil, waterproof material. It is made of premium quality galvanized steel so that it can offer sturdy support, extremely easy to pop-up and locks in place and simply fold for storage. COLLAPSIBLE, WASHABLE AND REUSABLE. Clean the spot with wet scrubbing cloth, handwash it and air dry.